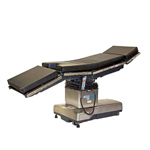 The Amsco 3085 SP surgical table is available with ACT ENABLED electronic interface circuits that work seamlessly with other technology in your state-of-the-art OR. This integration systems agnostic technology enables seamless communication among virtually any vendor’s equipment. 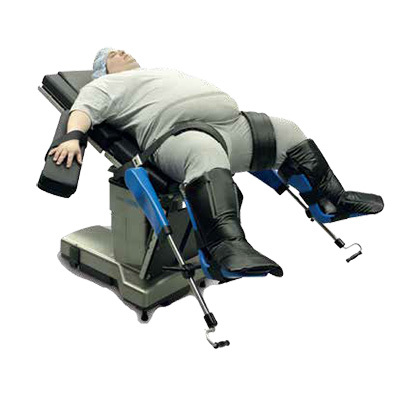 Automatic conversion functions for reverse patient positioning, regardless of headrest location means commands are automatically interpreted according to the selected orientation. 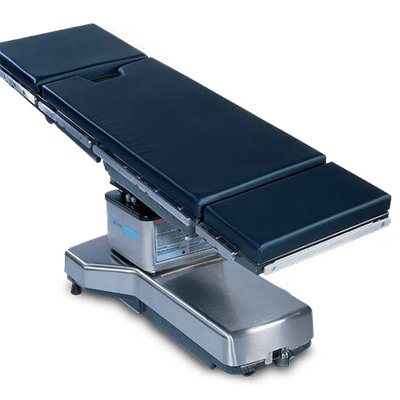 Bieri hydraulics provide ultra-precise tabletop articulation for specialties such as urology and neurology. Tabletop movement is smooth and accurate through the full range of positions. 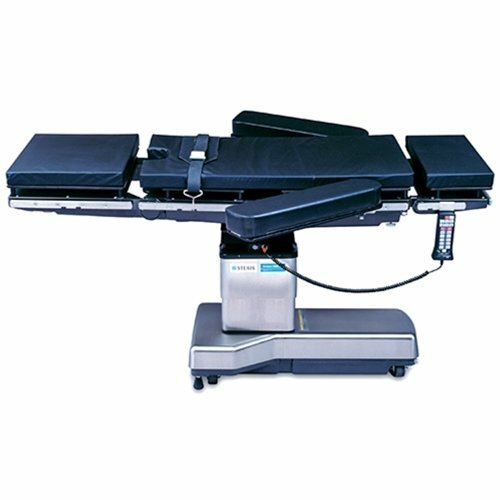 With the addition of the orthopedic extension, the AMSCO 3085 SP surgical table pulls traction and provides positioning flexibility for hip and lower extremity orthopedic procedures. T-shaped pedestal design and reverse orientation provide optimal access to the patient by the entire surgical team, regardless of the procedure. Table Length: 76” (193 cm). Table Width: 20” (51 cm). Table Height Range: 27” to 44” (68.6-111.8 cm). 1,000 lbs (454 kg) - normal orientation. 500 lbs (227 kg) - side tilt & reverse orientation. Trendelenburg / Reverse: 25° / 25°. Lateral Tilt (left/right): 18° / 18°. Head Section: +90° to -90°. Normal orientation (28” x 16”): 448 sq in. (2890 cm2). Normal orientation with IA extender (36” x 16”): 576 sq in. (3716 cm2). Reverse orientation, head section reversed (45” x 16”): 720 sq in. (4645 cm2). Reverse orientation 36” carbon fiber fluoro extention (36” x 20”): 720 Sq in. (4645 cm2). Normal orientation (33” x 14”): 462 sq. in. (2980 cm2). Normal orientation, head section reversed (45” x 16”): 720 sq. in. (4645 cm2). Normal orientation, 36”carbon fiber fluoro extension (36” x 20”): 720 sq in. (4645 cm2). Normal orientation with Fem/Pop board (55” x 16”): 880 sq. in. (5678 cm2).